By examination of a project site, existing areas can often be associated with certain ecological conditions from the regional native landscape. In a technical sense, each identified zone can be considered an ecotope, as understood from the landscape ecology discipline. Once a site’s “ecotopes” are identified, a bundle of corresponding practices, plants and materials, which have developed through extensive scholarly work + experience, can be deployed in the design process. 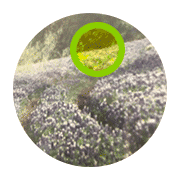 Effective ecological associations are crucial to making the built landscape product perform at a higher level, in less time with fewer inputs. 1. the smallest ecologically distinct landscape features in a landscape mapping and classification system. As such, they represent relatively homogeneous, spatially explicit landscape functional units that are useful for stratifying landscapes into ecologically distinct features for the measurement and mapping of landscape structure, function and change. 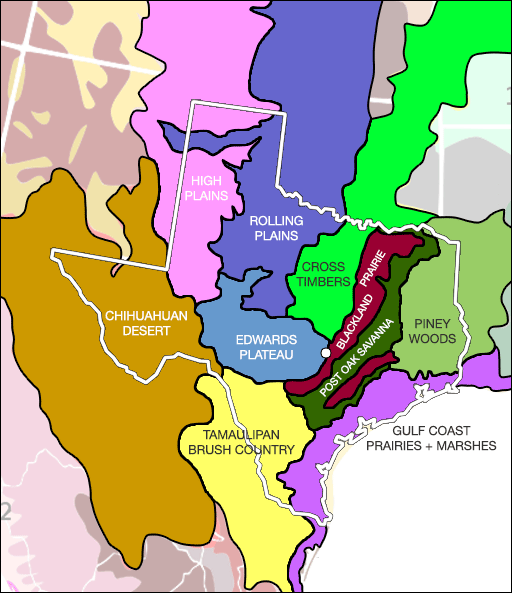 Also known as the Texas Hill Country, the Edwards Plateau rises from the Balcones Fault to the Chihuahuan Desert as a highly biodiverse region of open savanna, scattered with trees, grasses, perennial wildflowers + cactus. This eco-region mostly consists of desert basins broken by numerous small mountain ranges. According to the World Wide Fund for Nature, this region may be the most biologically diverse desert in the world, whether measured on species richness or endemism. The Cross Timbers eco-region, which stretches from north-central Texas to the southern Great Lakes, was described in 1854 as a dense woodland of post-oak and blackjack oak, not growing in a continuous forest, but interspersed with open glades, plateaus, and vistas of prairie scenery, which give a very picturesque and pleasing variety.